Box 13 was a popular mystery adventure series broadcast from 1948 to 1950. 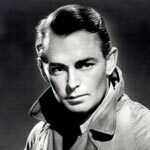 The film star Alan Ladd played the main character Dan Holiday, a newspaperman who became a mystery writer. Sylvia Picker starred as Holliday's featherbrained office assistant, Suzy, while Edmund MacDonald played police Lt. Kling. Vern Carstensen directed Box 13 for producer Richard Sanville who was also the show's announcer. "Adventure wanted, will go anywhere, do anything - write Box 13, Star-Times." The stories follow Holliday's exciting adventures when he responds to the letters sent to Box 13. Dan Holiday worked for Star Times before he turned into to a freelance writer.